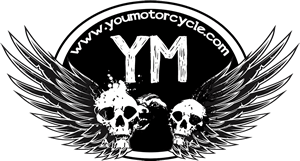 In 2011, while working in the motorcycle industry I met Andrew Richards of Trike Zone, a motorcycle dealership in Edmonton, Alberta. Two years later I was in my home in Toronto when I happened to hear the name Trike Zone in the news. 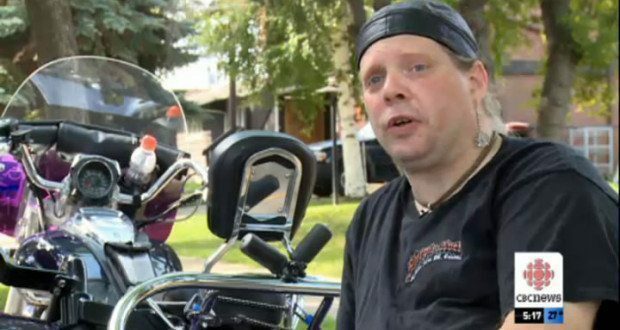 The story was about a motorcyclist who became a paraplegic in an accident. 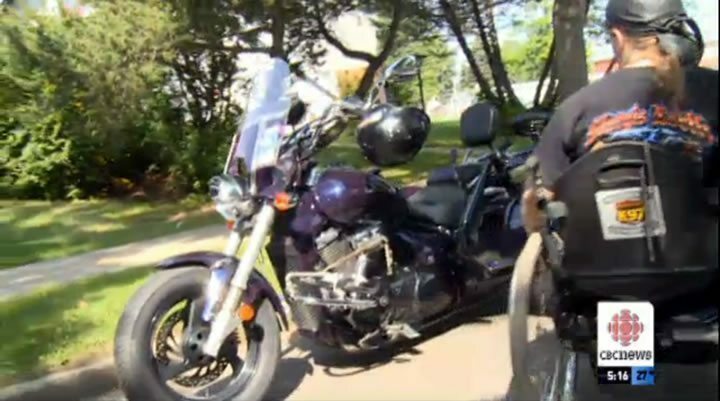 He was now getting back on the road on a specialized trike that could transport his wheelchair while he rode. Motorcyclists have a mutual nightmare. The crash. The big one. The life changing one. The defining moment where a motorcyclist’s life is divided between everything that happened before it, and everything that will happen after. That is, if the motorcyclist has an after. Some survivors never return to riding after the fact. The crash can change you. Whether they’ve suffered physical, psychological, or emotional trauma, people can be categorized in one of two ways. They become either victims of the trauma, or champions of it. In my case, I was 19 years old when my father was diagnosed with a malignant brain tumor and the doctors estimated he had no more than three to four months to live. My father was my hero, my consigliere, my teacher, my friend. He was the man I hoped would hand me a ring at an altar to give to a woman that I would spend the rest of my life with. I was 23 years old when he passed away after a long back-and-forth fight with cancer. Three weeks later I broke up with my girlfriend of nearly five years. She had been my best friend and the only person who knew how I really felt and the things I dealt with all along the way. From an emotional and psychological standpoint I had suffered huge losses. I was a complete mess, an utter disaster, a shell of myself. I was light like the dandelion blowing in the wind with no sense of direction. I desperately searched for something to grab on to, someone to guide me, someone who could attempt to fill the huge void my the loss of father had left in my life. There was no one who could. I was depressed. I was a victim of the trauma. I met a woman a few years older than me and in her I found not only a lover, but someone I could look up to. She had her life relatively well sorted out. I loved all of the things about her that a man typically falls for a woman because of, and all of her quirks too: She was equally well versed in both Shakespeare and South Park, and frequently blinked rapidly when she had a few drinks. Most of all I admired her mind. She was someone I wanted to learn from. For her part she was always eager to get me to try new things and take me to new places. Thank you. One day she told me to stop looking for my father and to start being the person he’d want me to be. I needed only to pick myself up and take what I knew of my father and move forward with my life. I turned my life around. In a short time I got two consecutively better jobs. My home improved. Most importantly, as a person and as a man, I grew by leaps and bounds. I reached a level, where I’m at now, that I wouldn’t have been ready to reach had I not lost my father and my ex-girlfriend. The trauma forced me to either be a victim, or come out better as a result of it. I became a champion of it. Way to go Stephen and Trike Zone! It is wonderful to see someone come back from an accident and return to the things they love. It is unfortunate he is a paraplegic but at least he is not letting that get in the way of him living his life. It’s great that Stephen Gorman is riding again. Long may he enjoy the road. About 25 years ago I met a former police officers from Philadelphia wo had received a paralysing gun shot wound while on duty. He rode a bike again, but his was one with a sidecar that he could wheel his chair onto. He remained in his chair and locked it in place and steered the bike with a special device linked to his handlebars. In effect the bike rode empty along side his chair. He said he got some very confused looks as an “empty” bike passed other vehicles. He also pulled a trailer stuffed with magicians equipment when he went around childrens homes and senior centers providing entertainment to people “less fortunate than him”. He was a true inspiration. I only wish I had a picture to share. On a whim, I decided to google myself, and was surprised to find this page. Wow. Thanx everone, but I just do what I have to. Neccessity is the mother of invention. I am also very happy that the story of my accident, and return to independace has inspired other victims of trauma. I myself was inspired by other paralized bikers I know of that went before me. Again … thanx. Hi Steve, thanks for being an inspiration to us all and for taking a moment to leave a comment on the site, it’s much appreciated. Keep up your amazing life’s journey. Thank you for showing us that there is a way to go beyond your losses and keep on moving forward. Way to go! Many happy and safe roads to you, brother.